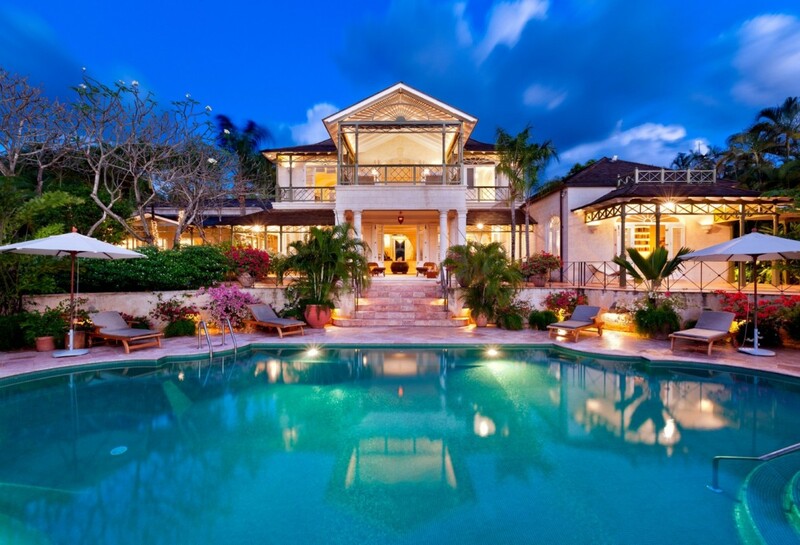 Villa Gardenia Barbados. 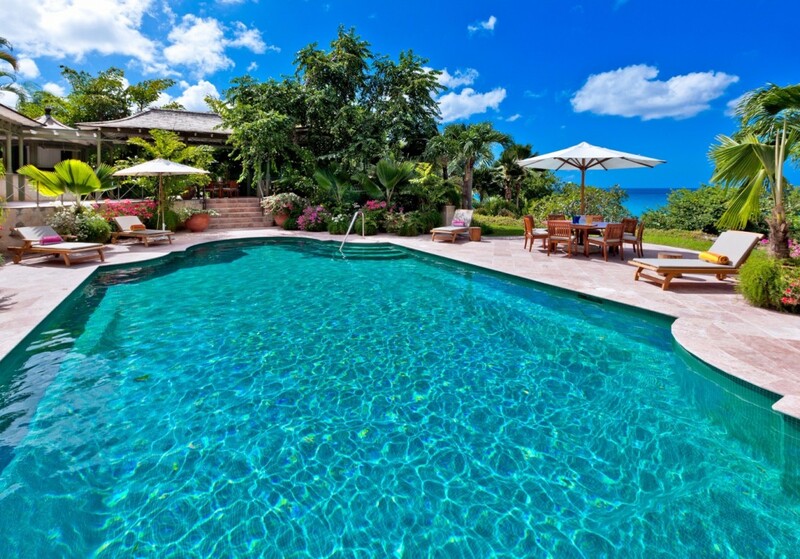 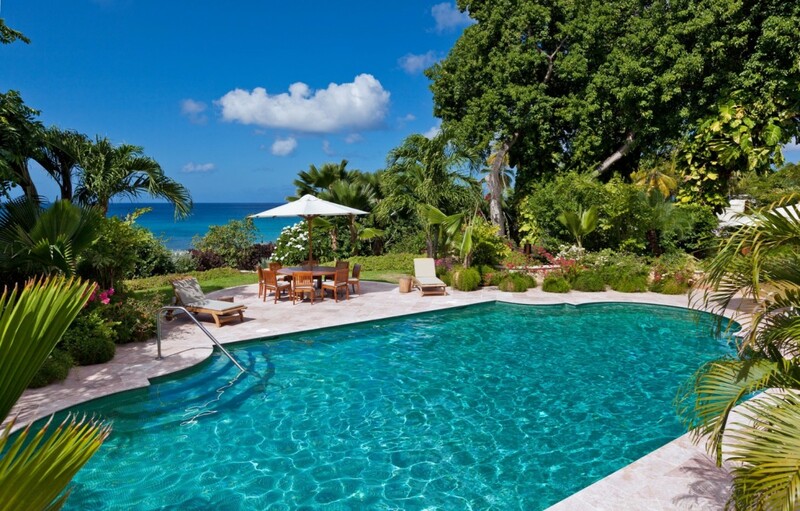 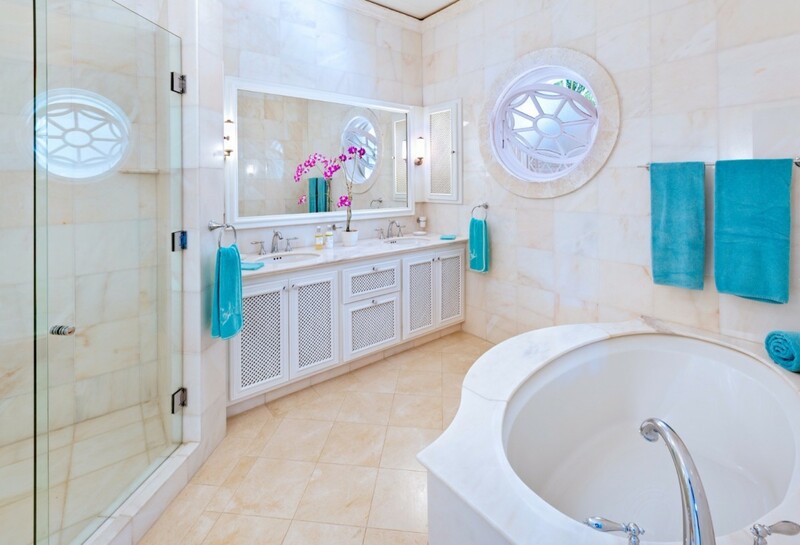 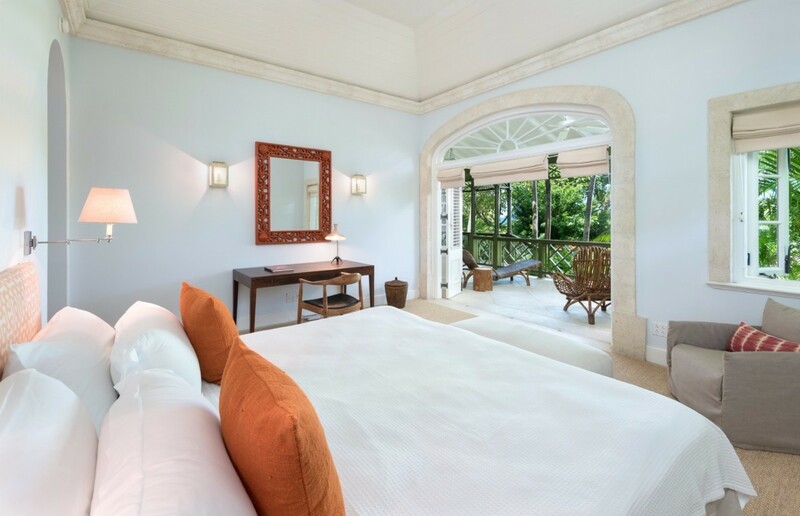 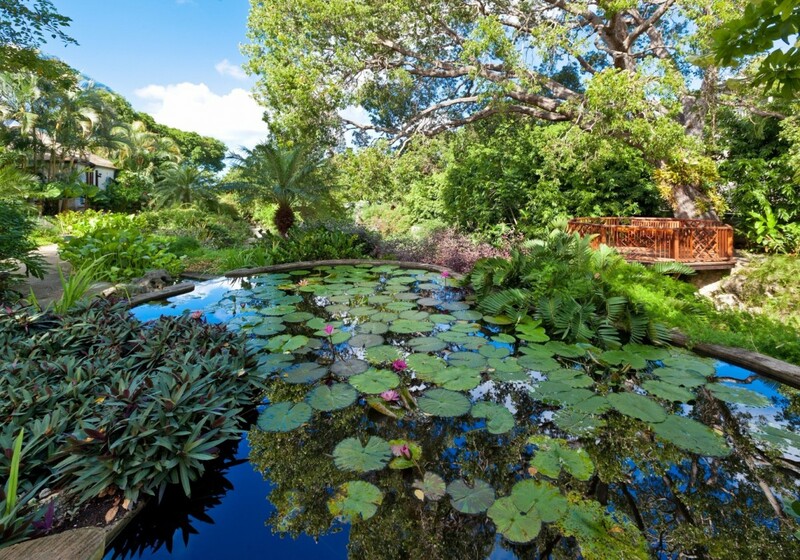 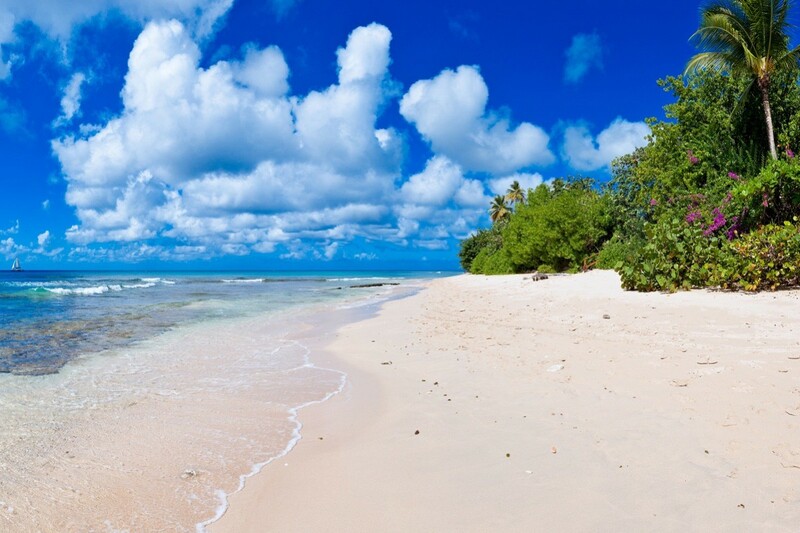 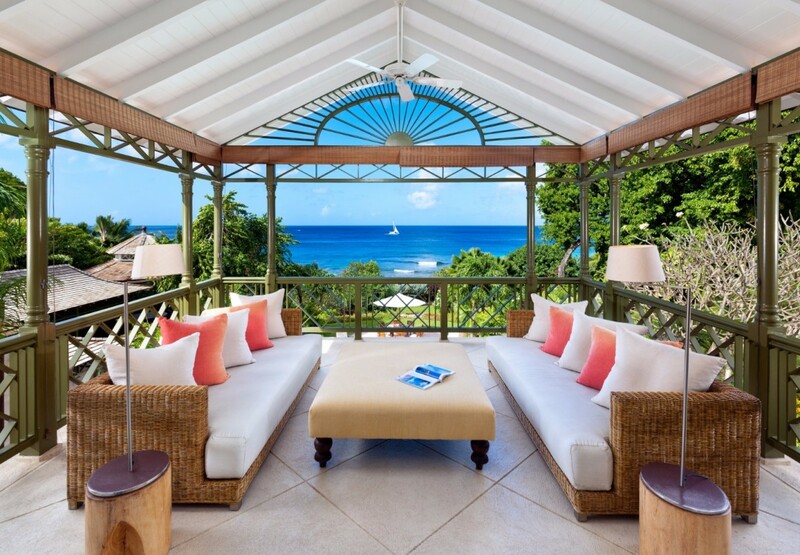 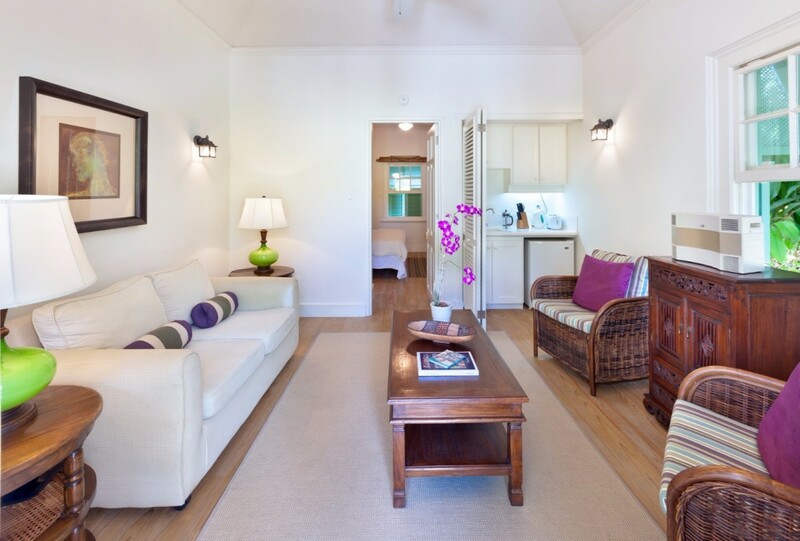 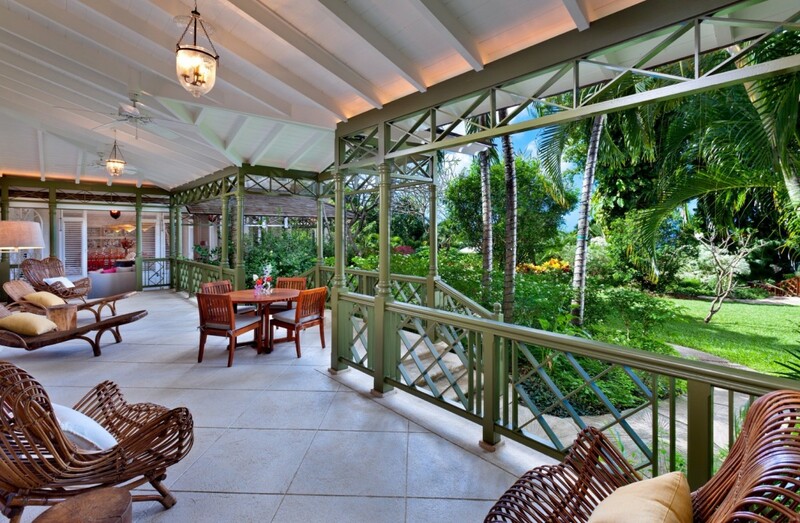 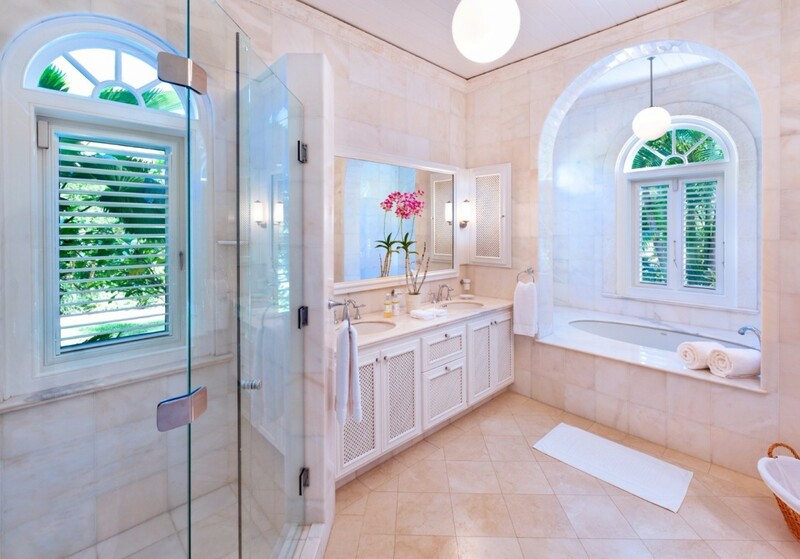 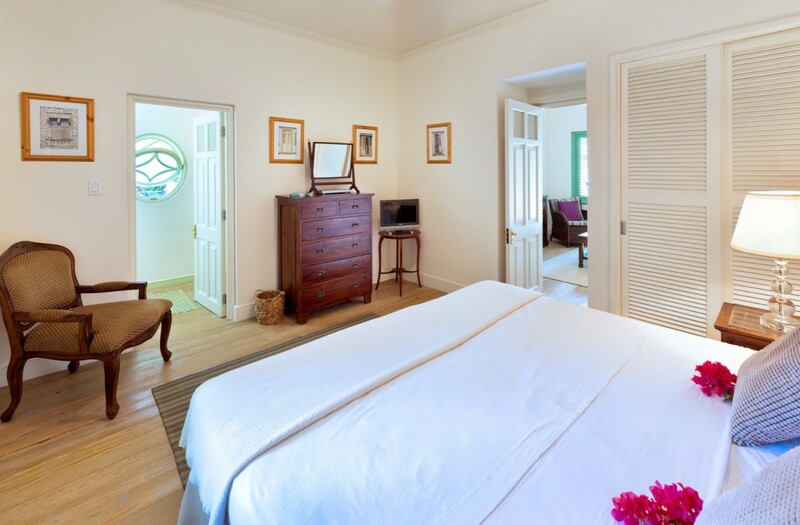 Nestled along Barbados' West Coast is the grand and truly elegant Villa Gardenia. 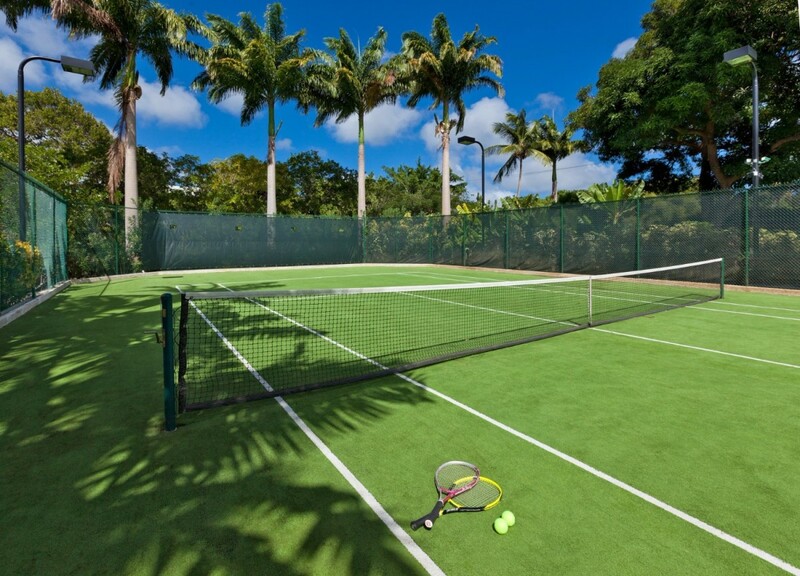 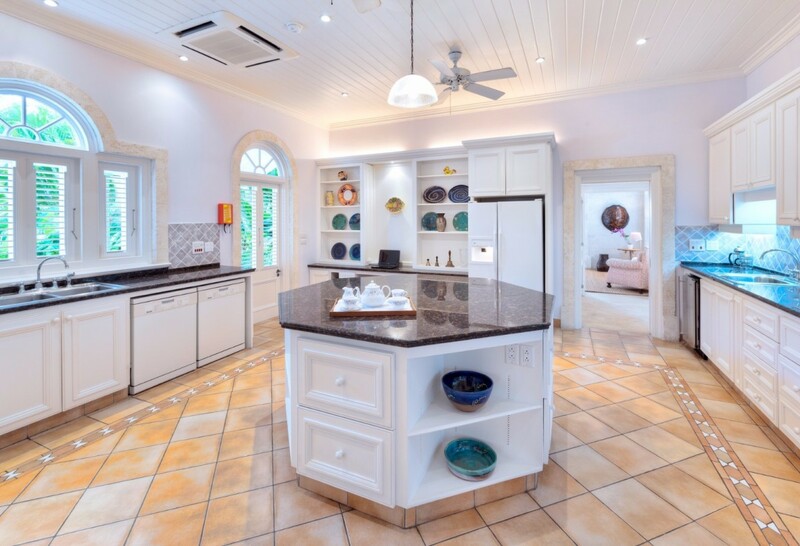 Moments from the delights of neighboring towns like Speightstown and Holetown, and the world-class golf at Royal Westmoreland and Sandy Lane, this exclusive property is truly a world of its own. 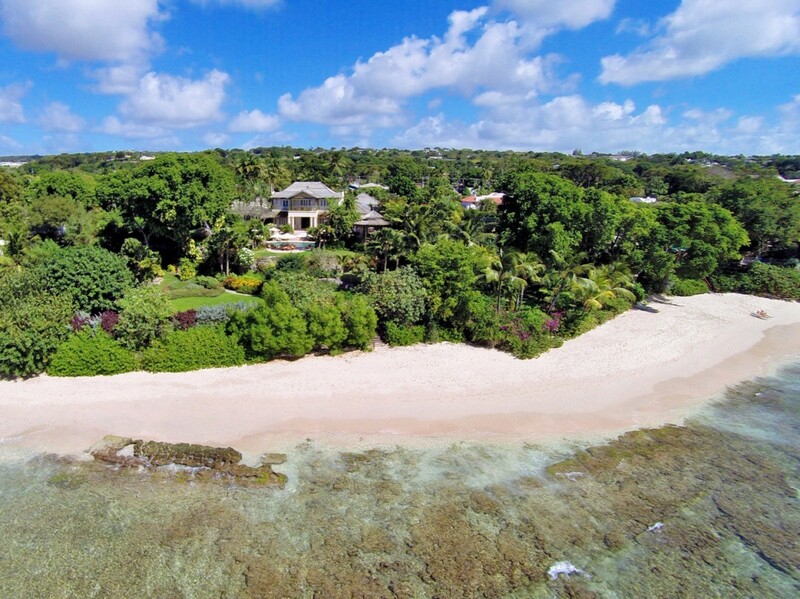 A beachfront property, it features more than three acres of private gardens and grounds, including a koi pond, in addition to a lovely stretch of private waterfront access. 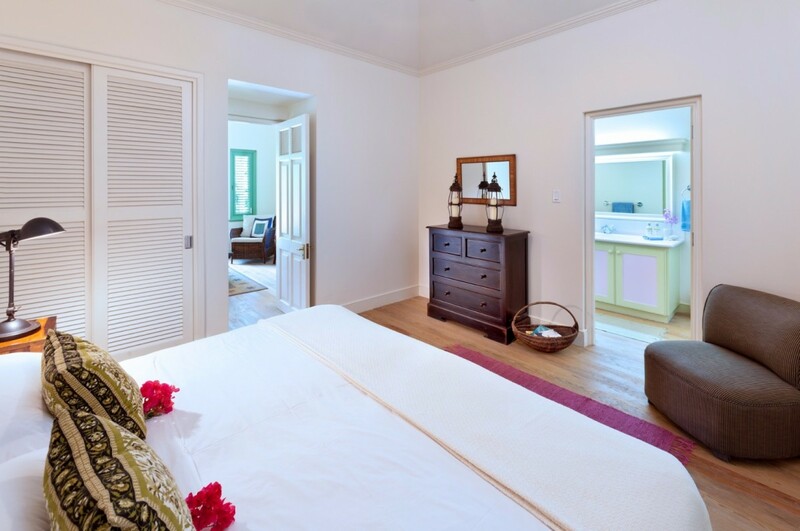 Staffed with a chef, butler and small team of housekeepers, visitors will be able to readily enjoy the surroundings in total relaxation. 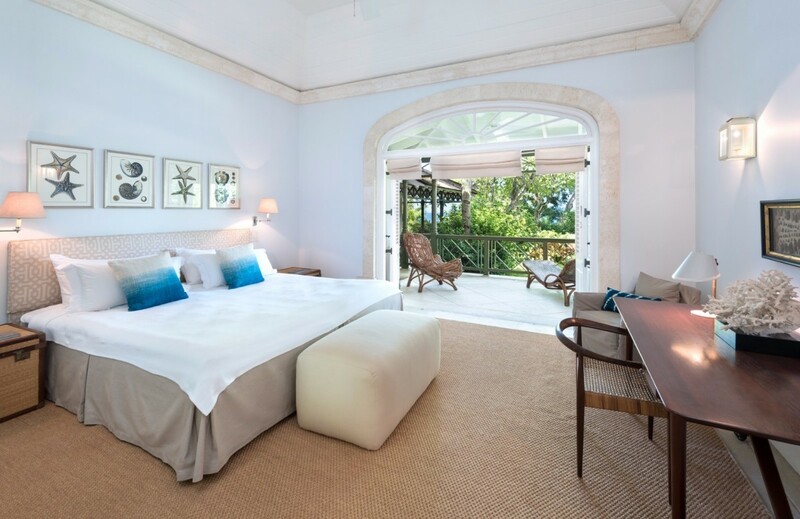 The property has been designed with this in mind as it seamlessly blends indoor and outdoor living spaces using classic Caribbean design and a stunning array of décor. 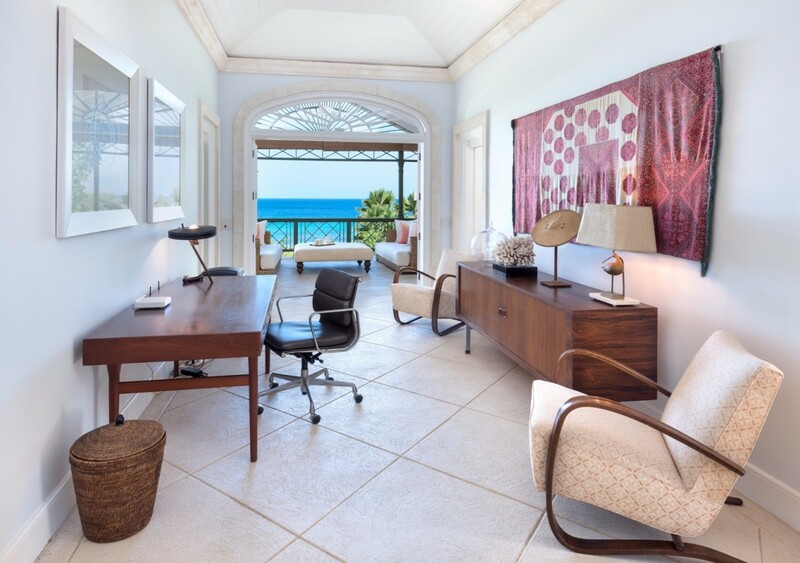 What results is a perfect balance between the formal and the completely casual, and there is a wealth of living spaces for guests to enjoy. 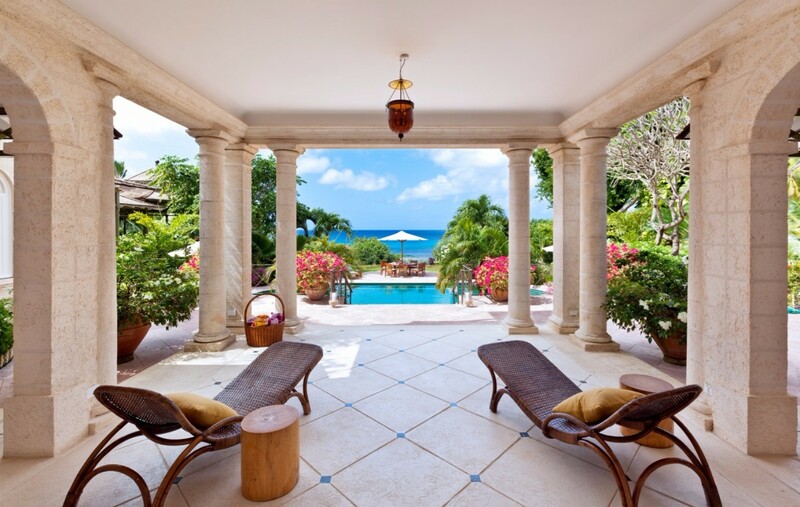 It begins at the front of the villa where the swimming pool terrace faces the show stopping view of the sea. 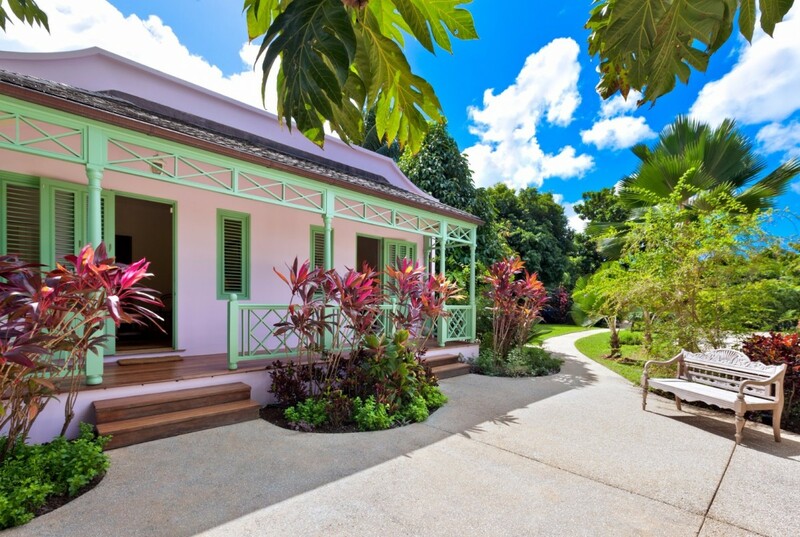 Framed by swaying palms, this view can be enjoyed from the sun beds or al fresco dining of the pool terrace or back beneath the shade of the gorgeous covered terrace. 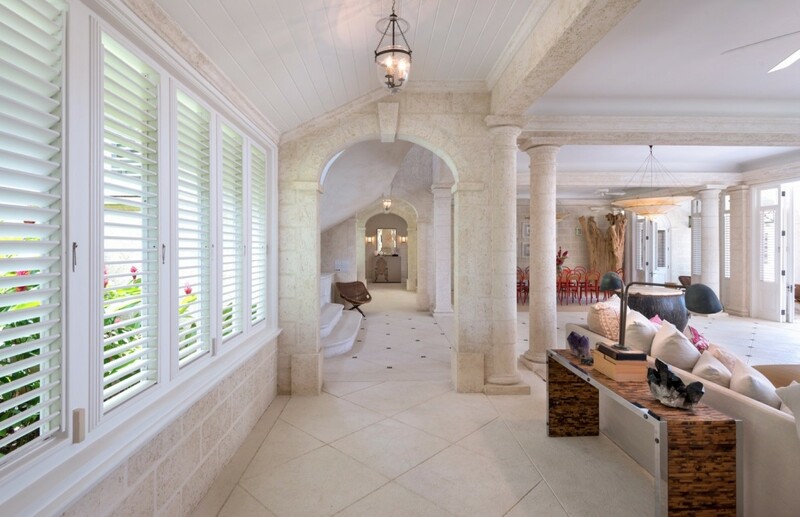 With its marble columns framing the view to the sea, it makes a stunning impression, and especially when seen from the formal foyer entrance. 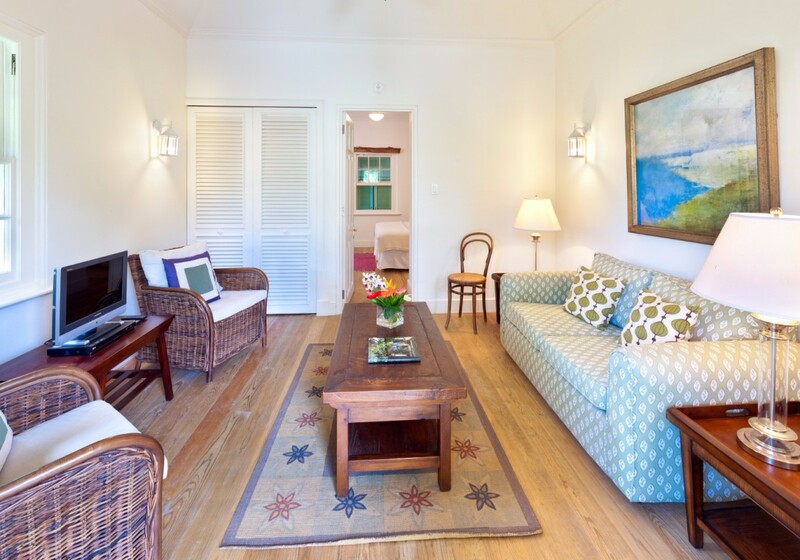 Passing through the great room to reach the terrace, guests can opt to relax in the oversized living room, head to the colorful formal dining room, or return outdoors. 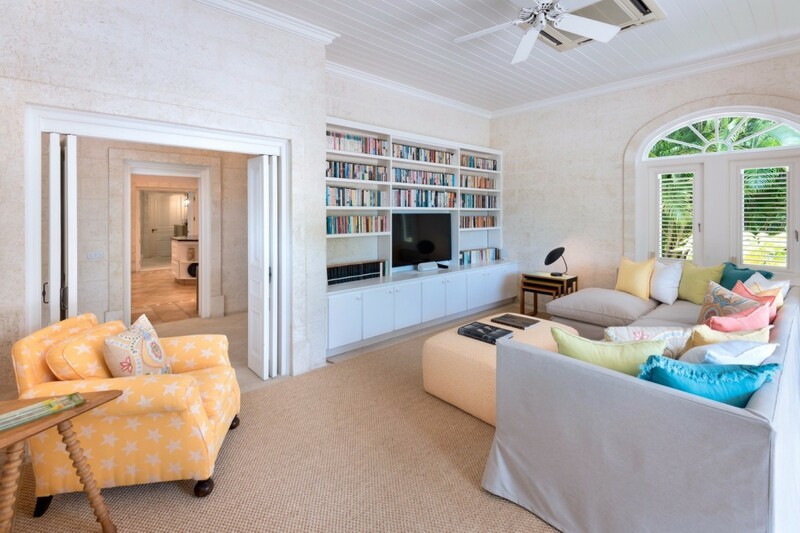 This floor also features a media room, fitness room, and the enormous, gourmet kitchen. 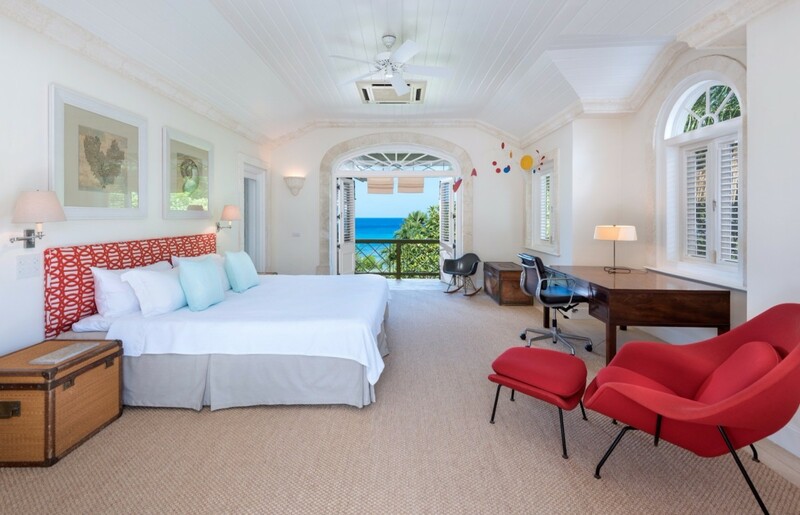 Three of the six bedrooms are on this level, each with oversized en suite baths, private access to their own verandahs and sitting rooms. 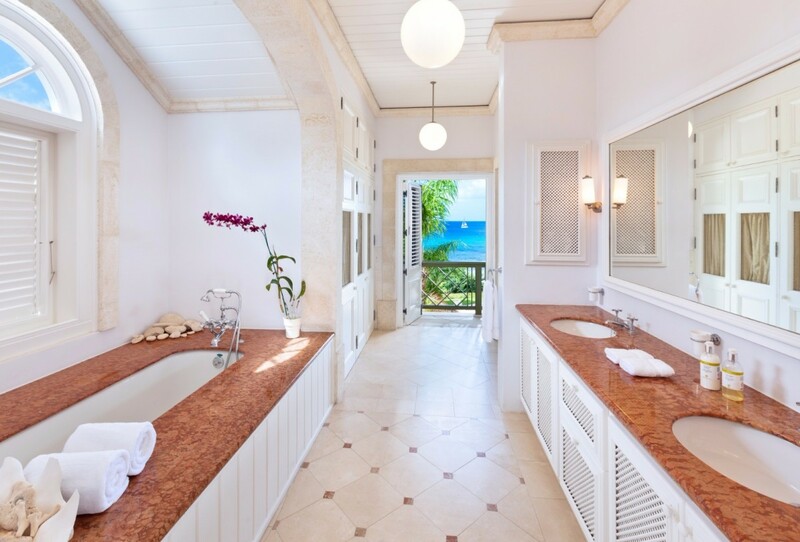 The next level is where the master suite is found. 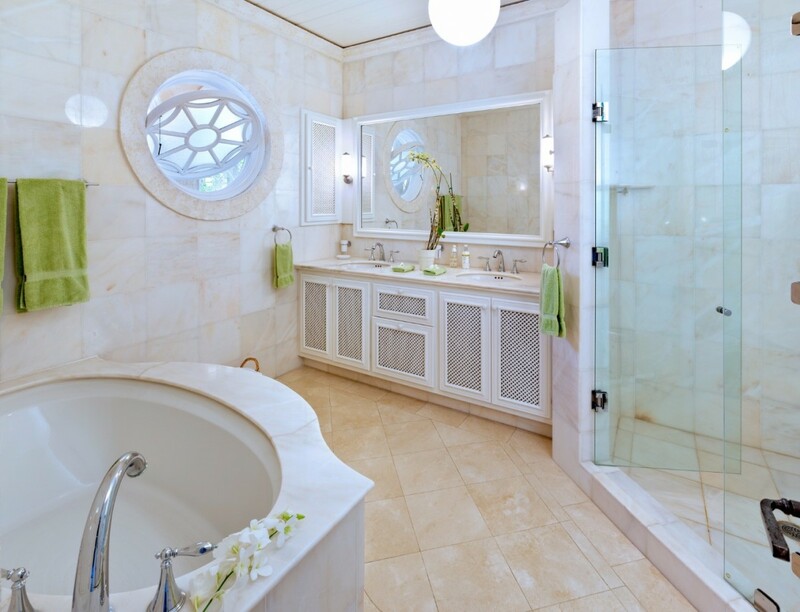 It takes up the entire floor and it has a private balcony, sitting room and bath. 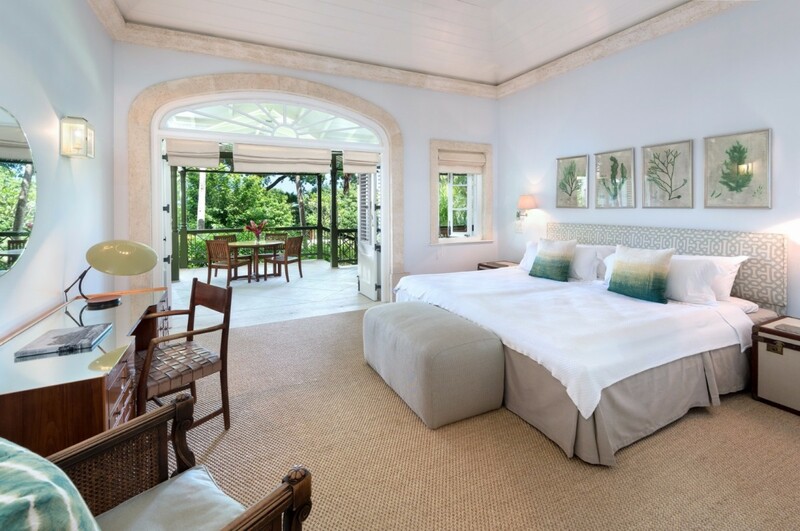 The self-contained Gate House annex is where the final two bedrooms of Villa Gardenia are found, and described as the most opulent of all.